"For girls its great to know what women before you were like and what they achieved. Its easy to read and I enjoyed it a lot"
"There is something here to engage and inspire every child, no matter what their interest, love or ability... Inspirational and empowering, these books belong in every school library. They really are incredible resources for the next generation of world changing women"
"As soon as we received the book my 8 year old daughter was engrossed in its pages!... It's definitely a book I'd have at home, or in the classroom, and would recommend it for both girls and boys aged 8+"
"This book is perfect for KS2/3... Is bright, eye catching and with short bursts of information it has reluctant reader appeal... it will make a great addition to our school library"
"This book is so easy to pick up and read a bite sized piece... Really useful for homework and bright and colourful"
"A truly inspiring book to read to my children... Crammed full of wonderful information, this book is a great addition to our home library"
"My little girl picked this book out herself from the book shop... It has led to some great conversations and I can see this book lasting many years... Highly recommended"
Meet the most talented and famous women in history, from politics, science, business, and the arts, from exciting entrepreneurs to clever creative. Discover landmark moments in the lives of amazing historical women from Joan of Arc to Marie Curie, up to and including modern game-changers such as Maya Angelou, Angela Merkel, Serena Williams, and Malala Yousafzai. With beautiful photography and fun illustrations, 100 Women Who Made History is a fascinating look at the pioneering and inspiring women in history, from ancient Greece to the present day. 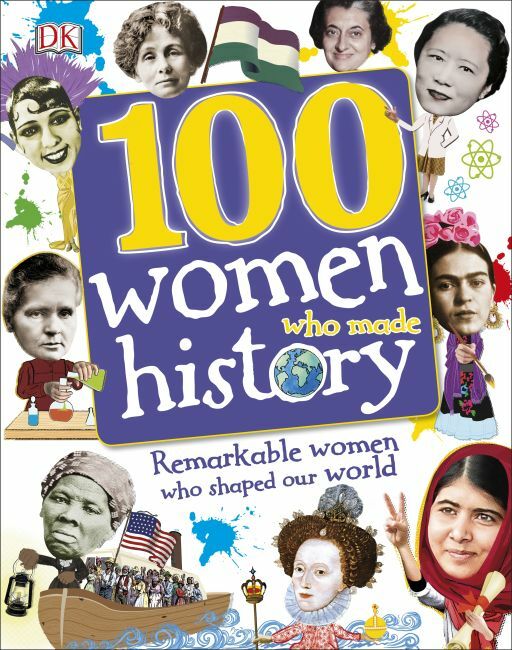 100 Women Who Made History is the perfect book of history for kids aged 9 and up as they discover women who left their mark.